The last fifty years have witnessed the growing pervasiveness of the figure of the map in critical, theoretical, and fictional discourse. References to mapping and cartography are endemic in poststructuralist theory, and, similarly, geographically and culturally diverse authors of twentieth-century fiction seem fixated upon mapping. While the map metaphor has been employed for centuries to highlight issues of textual representation and epistemology, the map metaphor itself has undergone a transformation in the postmodern era. This metamorphosis draws together poststructuralist conceptualizations of epistemology, textuality, cartography, and metaphor, and signals a shift away from modernist preoccupations with temporality and objectivity to a postmodern pragmatics of spatiality and subjectivity. 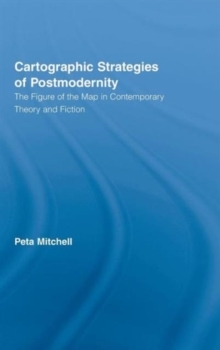 Cartographic Strategies of Postmodernity charts this metamorphosis of cartographic metaphor, and argues that the ongoing reworking of the map metaphor renders it a formative and performative metaphor of postmodernity.